Take a journey this February with a Mystery Match! Find your next favourite read this summer! Come along to see our Mystery Match display: A selection of our favourite books will be wrapped up for you. Spin the wheel to have a book selected for you, and take away your surprise read. Love it or hate it, review the book and go into the draw to win dinner and a movie for two! Read and review a Mystery Match title during February to go into the draw to win a dinner and movie for two! Entries close Tuesday 12 March. Take a journey this February at the Invercargill Public Library! 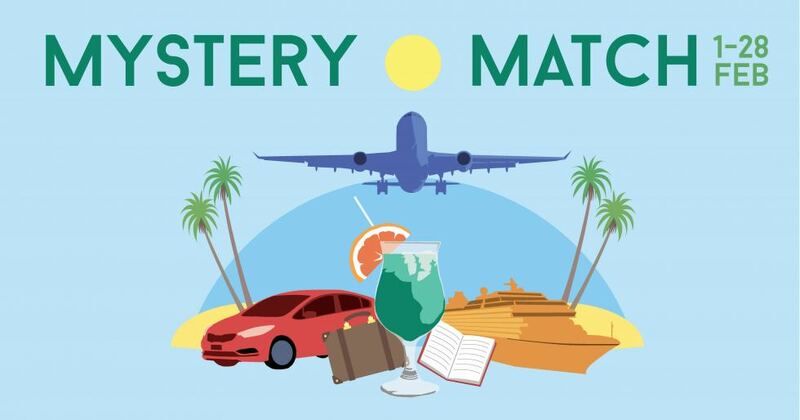 Check out the Mystery Match display next time you are at the Library! Our online catalogue is currently experiencing issues due to ongoing power interruptions. During this time access to the online catalogue will be available from home and within the Library. For patrons at the Library please see any Help Desk for any item queries. We apologise for any inconvenience as we work to remedy this issue.